← Infographic: WHere’s the Lean Beef? 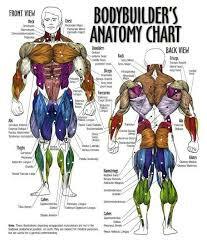 This entry was posted in BodyBuilding, Health and Human Body, Infographic, weightlifting and tagged #fitness, #get brolic, #getbrolic, #MuscleMilitia, #MuscleMonster, #thriveorsurvive, @latinscientists, arms, biceps, body building, bodybuilding, GAINSCO, infographic, weight lifting, weightlifting. Bookmark the permalink.